We create beautifully bespoke fitted furniture such as walk-in wardrobes, alcove storage and TV display shelving. Our cutting-edge techniques mean our fitting process is mess and stress free! Alcove Carpentry is a traditional joinery service with many years experience. We take pride in providing a range of handcrafted, quality joinery services and bespoke products that will help bring ideas for your home into reality at realistic and affordable prices. 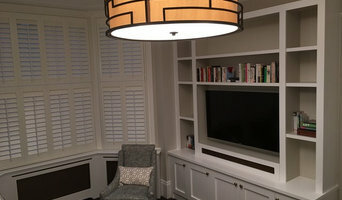 Alcove Carpentry can help clients in all aspects of home - inside and outside in new build, renovation and restoration. 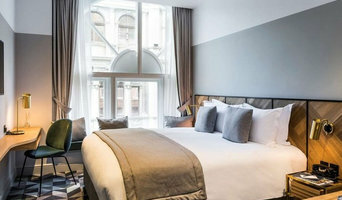 In addition, we offer painting and decorating services to create beautiful interiors and taking part in their transformation. All of our works are carried out by craftsmen with many years experience in the trade. We make bespoke fitted furniture and doors. 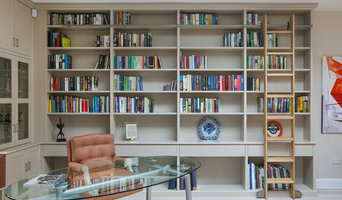 Alcove units, alcove shelves, alcove cupboards and wardrobes, radiator covers and bespoke media units. With craftsmanship and sustainability at our heart, we combine traditional and digital manufacturing techniques to create charming, distinctive furniture that celebrates the beauty of natural wood. We offer a bespoke service to ensure your project is managed from start to finish, from initial design to completion. Each project is hand crafted to the highest standard in our East Dulwich workshop. We've been crafting beautiful bespoke kitchens, furniture & joinery for 20 years. We're passionate about creating beautiful spaces by combining elegant and innovative design & craftsmanship. From our office and workshop in Peckham, South London, we are a small diverse team dedicated to producing exceptional quality cabinetry, innovative finishes and lasting design. Using traditional fine woodwork techniques combined with modern methods of design and construction, with a strong emphasis on combining colour and other materials with solid hardwoods. Unless you are after a completely exposed look, cabinets and cupboards will be staple pieces of furniture in your home. 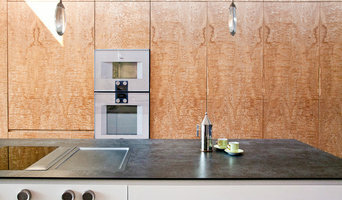 While most people turn to furniture shops or showrooms, if you want a more unique look for your cabinetry in your kitchen, bathroom or elsewhere in the house, then hiring cabinet makers in Nunhead, Greater London through Houzz could be your answer. Why should I hire a Nunhead, Greater London cabinet maker? Cabinet makers are skilled craftsmen who can design, make, rework and repair cabinets and cupboards. They can create bespoke storage or kitchen units for your home that meet your needs and fit with your interiors. They can also advise you on materials and cabinetry styles if you’re not completely sure on the design yet. With the right bespoke cabinet makers in Nunhead, Greater London, no cabinetry job is too difficult, so even if you have a tricky corner space that you want to utilise, a Nunhead, Greater London cabinet maker can create a cupboard to your specifications. Bespoke cabinet makers are more than just bathroom or kitchen cabinet manufacturers and they can be commissioned to create storage cabinetry around the home. Bespoke TV cabinets are in popular demand due to the variations of TVs, consoles, digital TV boxes, DVD players and other items that we want to keep near to our televisions. Skilled cabinet makers in Nunhead, Greater London can create a one-of-a-kind TV cabinet or media centre to house all your entertainment goodies. If you already have cabinets or cupboards that you’d like to keep, but they’re just in dire need of a facelift, then bespoke cabinet makers may be able to help, too. You may wish to replace kitchen cabinet doors, give your cupboards a new colour, add decorative elements or use a special finish; whatever the cabinetry task, ask cabinet makers in Nunhead, Greater London if they can help you. If you need the help of a cabinetry professional when renovating a home, make sure they are happy to work with any other professionals working on the project. Here are some related professionals and vendors to complement the work of cabinet makers: Kitchen & Bathroom Designers, Kitchen & Bathroom Fitters, Interior Designers, Home Storage Designers & Professional Organisers, Carpenters & Joiners. How long have you been cabinet makers in Nunhead, Greater London? Find a cabinet maker on Houzz. Narrow your search in the Professionals section of the website to Nunhead, Greater London bespoke cabinet makers and cabinetry. You may also look through Nunhead, Greater London photos to find examples of cabinets that you like, then contact the cabinet makers in Nunhead, Greater London who worked on them.